Dr Ahmadreza Djalali has been working in the field of disaster medicine since 1999 and has written dozens of scientific papers on the subject. In 2009, he left Iran to study at the Karolinska Institute in Sweden to complete a PhD program. Since, he is a regular teacher of the European Master in Disaster Medicine, a joint master by the UniversitaÌ€ degli Studi del Piemonte Orientale and the Vrije Universiteit Brussel. In April 2016, he travelled to Iran after having been invited by the Tehran and Shiraz Universities to attend workshops on disaster medicine when he got arbitrarily arrested. Since then, he has been detained in awful conditions on the basis that he would have “collaborated with scientists from hostile nations”. He has reportedly spent at least seven months in solitary confinement and suffered medical complications. His family has been trying continuously to contact him, and reported that he has been on hunger strike for 42 days. During his closed-door trial on 31 January 2017, he was accused of espionage regarding a matter of national security and was denied the right to consult his lawyer. His family learned afterwards that he was sentenced to death and could be executed within two weeks. Dr Djalali’s relatives kept news of the arrest quiet in an attempt to avoid worsening the situation, but have spoken out following the issuance of the death penalty. Amnesty International has since called for urgent action and launched a campaign to send as many appeals as possible. 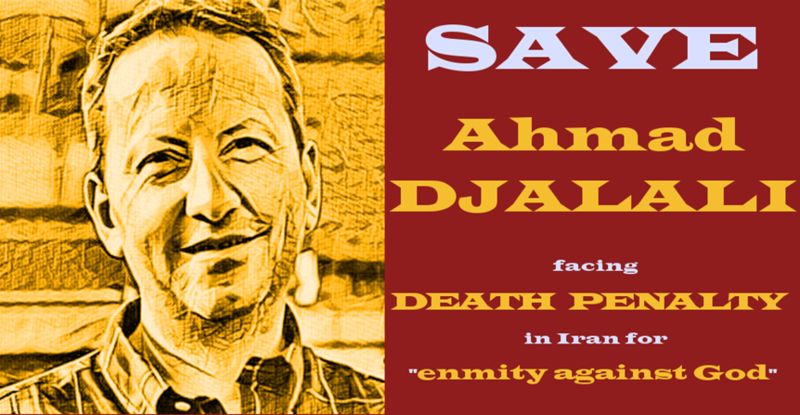 A petition was also launched urging clemency for Dr Djalali and has been signed by more than 40,000 people. According to the petition, the professor was forced to sign a confession to an unknown offence during his custody. The scientific community, human rights groups and officials in Europe have condemned the unfair process and horrific sentence. The EHF is deeply concerned by the situation and supports all initiatives to help save Dr Djalali. How can you get involved and react?